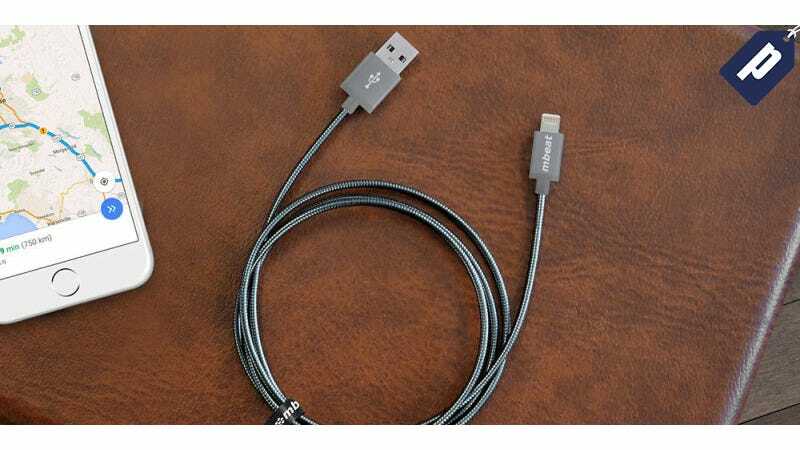 The standard, flimsy Lightning cables tend to become unusable after a few months, but these metal braided MFi-Certified cables are built to last. A two-pack normally runs for $60, but you can get it for half off today ($30). These cables have a tough braided metal exterior and a rugged aluminum crush-proof plug design, so they’ll probably last longer than your iPhone. They’re also MFi-Certified, meaning they meet Apple’s standards for charging any of the latest iOS devices. With this two pack, you can keep one at home and one at work. Grab them today for half off retail value - just $30.